The RTS genre seems to be influx now a days. With developers trying to figure out how to bring the genre to consoles a lot of people think we've seen an end of the old time RTS game. We decided to ask Chris Taylor where the genre was headed as he's one of the big figureheads in the industry. We also asked a lot of annoying and somewhat prying questions about the new RTS game his company is working on and why he decided to switch publishers with the game. Can you introduce yourself and talk about your role on the project? 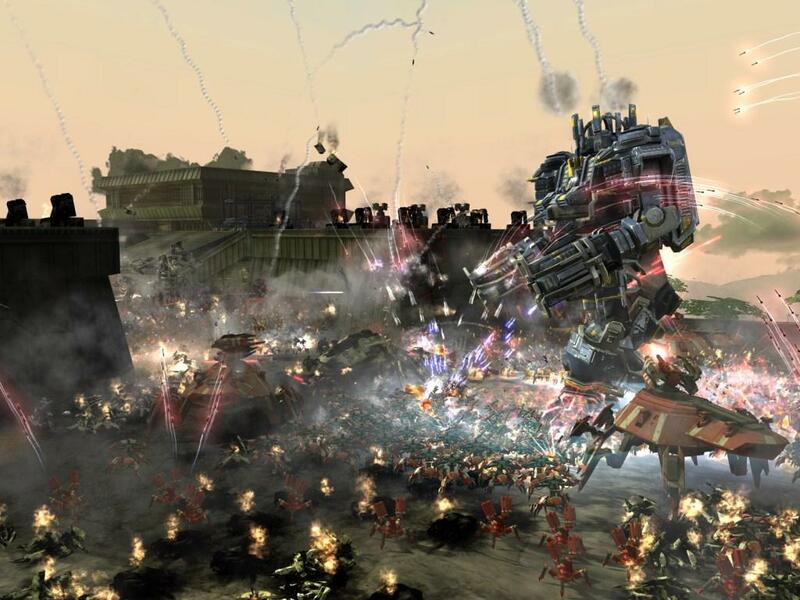 Chris Taylor – My name is Chris Taylor, I am the Lead Designer of Supreme Commander 2. My role is to guide the high level design, come up with new ideas, and figure out where we think the RTS genre is going. 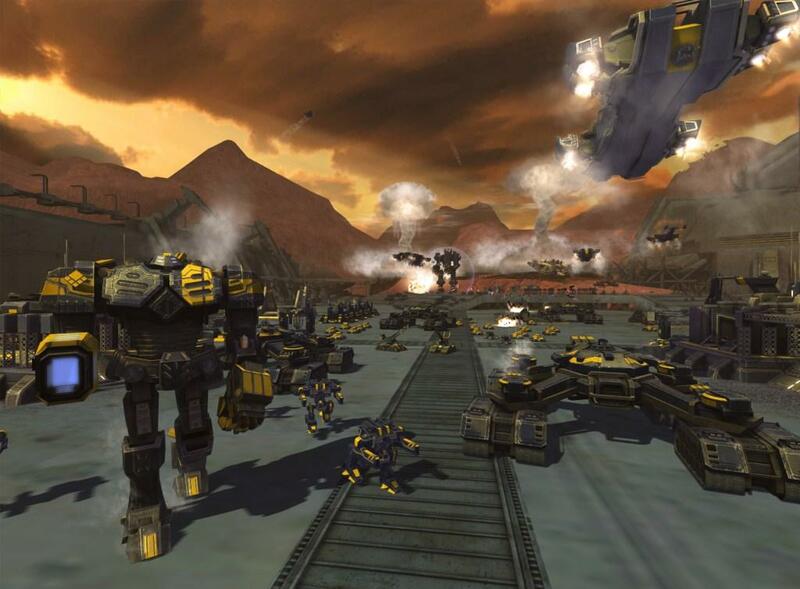 What's the backdrop for the game in Supreme Commander 2 and how does it tie into the first game? The story picks up after the events in the first two games. The three united factions, having just defeated the Seraphim enjoying 25 years of peace. This is shattered when the President of the coalition is assassinated, throwing them back into a three-way war, neither side willing to trust the other. How important is story to a RTS game? Has there ever been the thought of "Here are a bunch of units, go forth, multiply, and destroy anything that doesn't belong to you?" Over the years I have come to believe that the story is very important, it's what holds the whole package together. Video games as an art form have really evolved, and it’s clear now that story has become an essential part of the experience, and with SC2 in particular, we wanted to take the story right into the lives of the characters. Could you talk about the lessons learned from Demigod and how you applied them to Supreme Commander 2? In Demigod we took the visual level of detail up several levels from what we had achieved in the first two Supreme Commander games. We also worked harder to create really compelling visual designs on our characters. The biggest take away was the outrageous terrain that was developed, the way over-the-top locations that were way more fun than flat square gameboards. We went all-out in SC2, to really push the limits of what we can do with this terrain system. What do you think is the most important new feature of the game? That's a very tough question, because we've done so much. If you made me pick just one, I would say the new tech tree system. It takes everything that is great about upgrades in an RTS game and makes them so useful and manageable. It has given the game a new kind of depth and a huge amount of replayability. The way the player approaches the tech tree is key to the strategy of the game. Gas Powered Games has been in the RTS business for quite some time..What's been the biggest change you've seen in the genre? What kinds of things do you expect to see from the genre in the future? I think we know more about RTS now than ever, and we understand what parts of it are fun, and what parts aren't. We now know that resource gathering is an important part of the game and you can't just remove it and expect the strategy part to hold up... but having said that, the strategy and combat are still the main event, and we'll see designs evolve to focus on that part of the game more. We think that new game modes will emerge, giving the player something other than the SP campaign, Skirmish and MP. 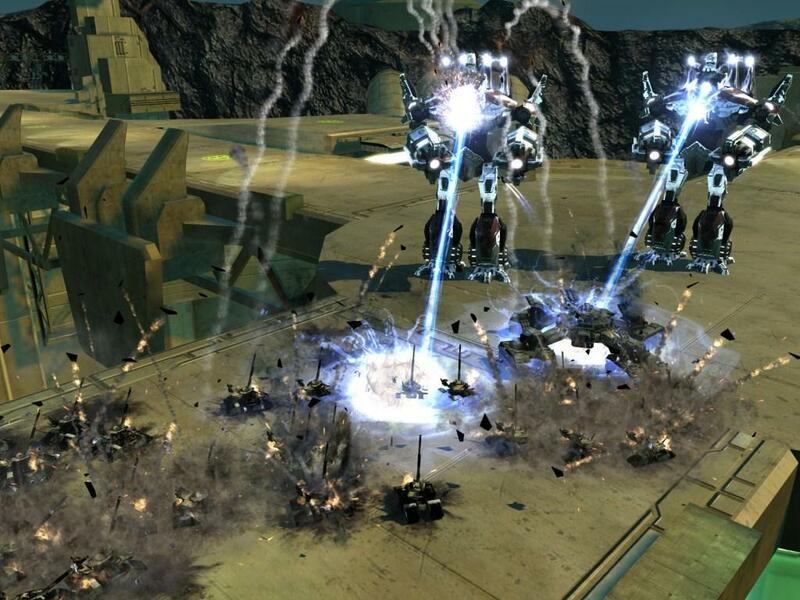 And we'll see more aspects of the game's moving into the online space as these new modes of play develop.It sounds like resource management has been taken almost completely off the table in Supreme Commander 2. Can you talk about the new resource management system and why you choose to go this way? Am I going to have to buy Sim City to get my base building fix now? Not at all, the resource system is still very much a key part of the game, and will instantly be familiar to you if you played SupCom1. You simply need to have all the required resources before you start construction of a unit. Believe me, making key choices about what to build and when is fundamental in supporting an effective strategy. Can you talk about the motivation to move from the tech levels of the previous game to the tech trees? How does that impact the gameplay? It does some really key things to the way the game is played. For example, tanks that you build early on in the game are still useful later on, and that's because they are continually being upgraded. With the first game, the sheer number of units was a little overwhelming, and it was hard to learn the subtlety and minutia of each one. Now, as they are more focused, and part of the game from beginning to end, each unit can play a more important role. Have you made any changes to how you actually move and control units in the game or is that still untouched? We are very careful not to disrupt the core RTS interface that many players have come to expect, but we have made some key innovations that will enhance the experience in some fun new ways. Key to this is what we are calling, “Strategic Mode”. We call it this because we provide the player with more battlefield information when they are zoomed out, making it easier to see how many units are in a group. In Forged Alliance it seemed like there was a move towards shorter battles vs. the marathon sessions from the first game. Was that intentional and which direction are you heading with Supreme Commander 2? I think we did move a little in that direction, but we have always understood that the map size was the biggest contributor the the game length. That's why we include a variety of maps, because this choice depends on the way people like to play. What kind of things are you doing to streamline the experience? The biggest thing that streamlines the game is elimating the labor intensive upgrades for things like Mass Extractors. This was tedious, and definitely not missed! We eliminated the need for storage, so the player doesn't worry about losing Mass and Energy, and we've automated the repair process, so an engineer that is just near a damaged unit will take care of it without being asked. This has had the effect of making the engineer units very useful on the front lines. These are just a few! How have you adapted the game for the Xbox 360? 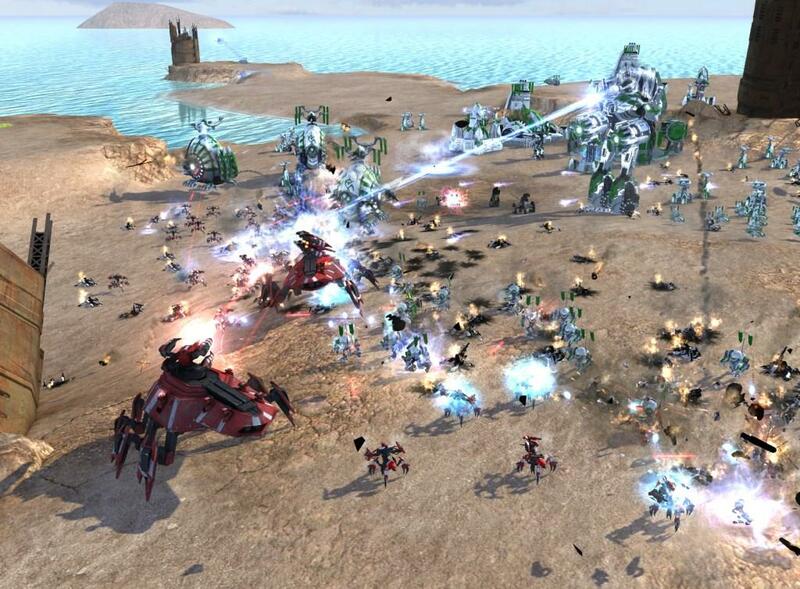 What was the most painful lesson you learned from bringing the first Supreme Commander to the Xbox 360? The key thing about the 360 is it's memory limitation. 512MB is a lot of memory, but not compared to a PC that typically has 4 to 8 times that amount. If you aren't careful about memory use, the game can spend a lot of time loading off the DVD, and that can be very painful. We have worked very hard to get it to fit into these memory limits. On the gameplay side, the biggest challenge is the interface, and we've come up with a key innovation that really helps to select units easily... we call it the stretch cursor. 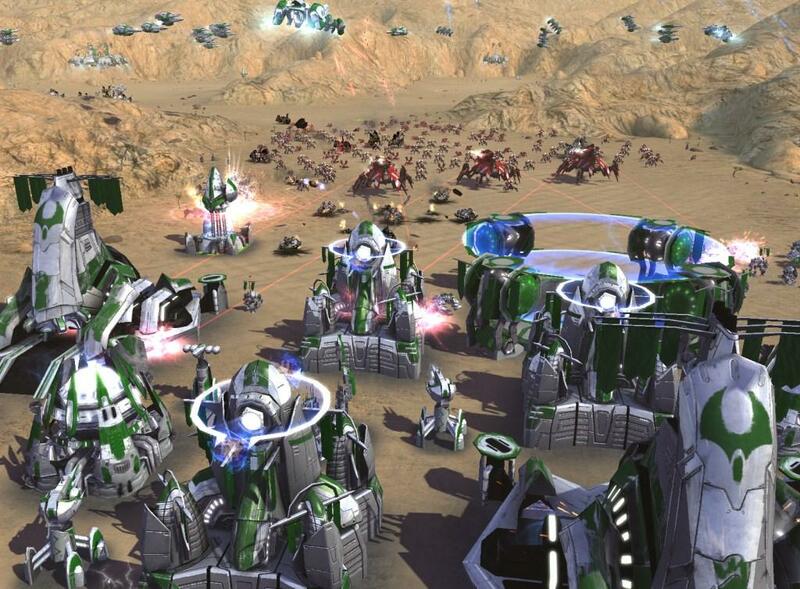 Just getting the cursor close to a unit is enough to make the selection, and there's key visual feedback to tell the player that this is what will happen.Why did you make the switch in publishers for Supreme Commander 2? Square Enix seems like an odd partner for a game like Supreme Commander 2 unless Cloud Strife is revealed to be one of the commanders or you're adding giant swords to the game. We think it's awesome, as we have so many Square Enix fans at GPG. Our working with SE is really about how we fit into their plans to do more in the west, which by now you've read plenty about this past year. For us, it's about a publishing partner that really understands the balance between the art and business of game making. Believe me when I say we've found a partner that really understands that balance. Can you talk about the new experimental units and how you think they'll impact the gameplay? Any changes to the ACU's? Sure, but there are quite honestly too many experimental units to talk about, 27 in total. Among them are some really outrageous ones like the Noah Unit Cannon, which can fire units clear across the map, and the Cybranasaurus Rex, the hybrid dinosaur that can breath fire. The impact on gameplay is huge! :D We know that these experimentals steal the show, that's why we've given the player a huge variety to choose from, depending on the way they like to play. Among many of the enhancements to the ACU's you can research jump jets and an escape pod that you can launch if the Commander gets into trouble. We have also added a special ability called Hunker Mode. When in this mode the ACU can take a lot more damage while a rescue party is sent. Sometimes it's just nice to Hunker while your units finish off a particularly nasty wave of attackers. Hunker mode can really save your bacon in a pinch! Could you walk us through the process of designing one of the units in the game? Let’s look at the Experimental units. First thing is to look at the overall faction’s history, evolution, and in the case of Supreme Commander 2, the units that were a key part of the first two games. I think about the comparable units in each faction, and how it would fit into the big picture, considering Land, Sea and Air. It’s an organic process, because what’s first proposed is often changed and iterated on while in development. We then come up with the units capabilities, and fit them in with the other units in that faction. A name is brainstormed, and then the Lead Artist develops concepts that match the units function. When all of these elements come together, a new unit is born! Any parting thoughts on anything we didn't cover? We’ve certainly covered a lot of ground, but I will add that we’ve worked very hard to optimize the engine, so that more people than ever can play. And while getting the engine to run on a wider range of hardware, we’ve still managed to add more visual detail than ever before. Everyone at GPG is very excited to finally release the game this March, what we hope is the biggest RTS game ever! We'd like to thank Chris for taking the time to answer our questions and Brandon for helping to coordinate the interview.